Searching through some old family photographs, I found an old photocopy of a newspaper clipping from the early 1940s that I’d long forgotten about. 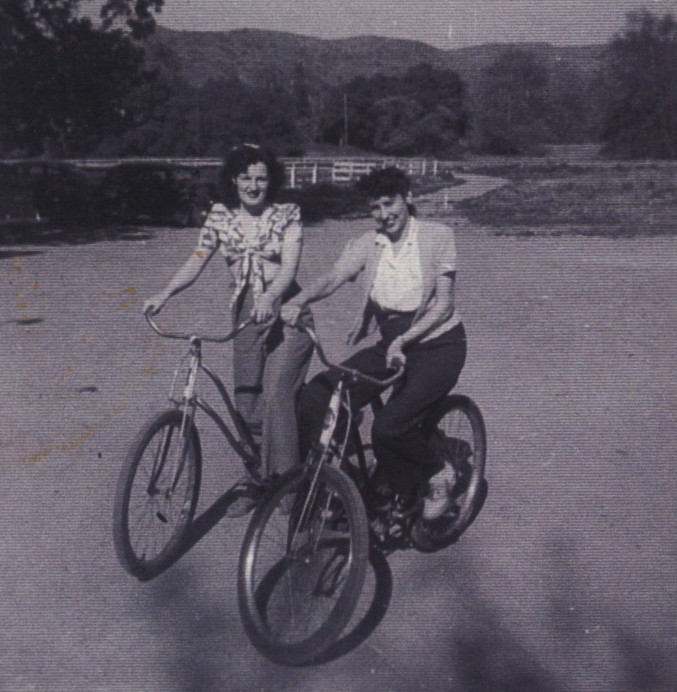 My grandmother Leona, pictured on the left, was a real life “Rosie the Riveter” during WWII. 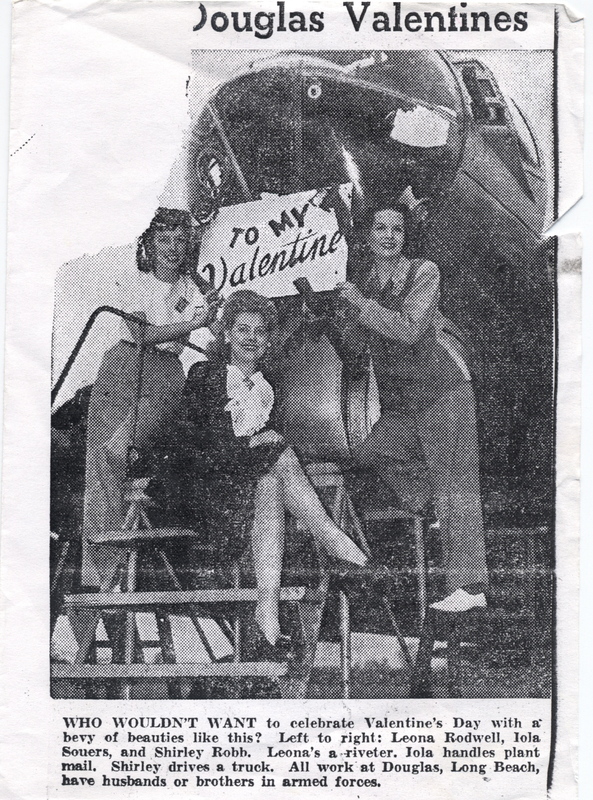 Valentine’s Day riveters, Douglas Aircraft, Long Beach. Leona Rodwell, Iola Souers, Shirley Roth. 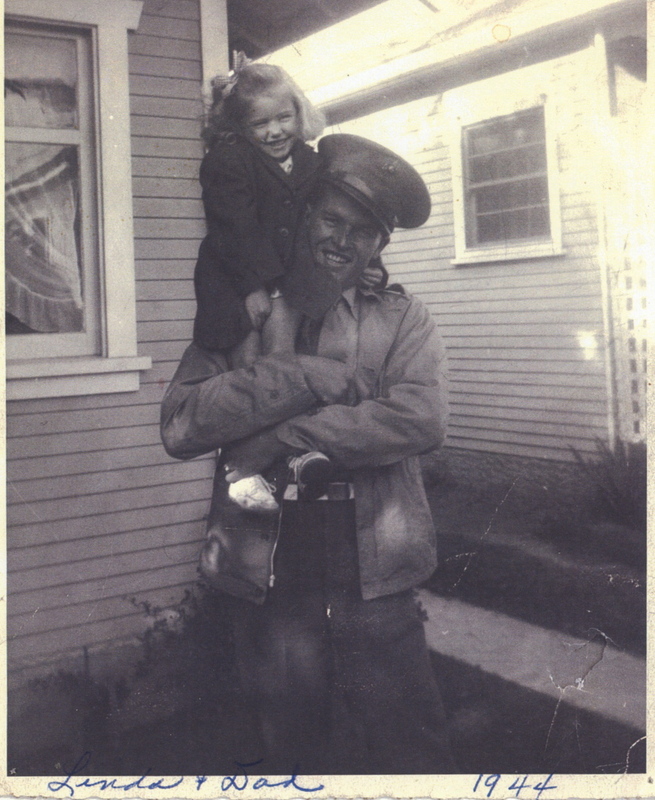 During World War II, when millions of men went to war, my mom’s father, Jack, a young college student, gave up his coveted college football scholarship to enlist in the military. Along with my grandmother, he moved to Long Beach, California, both home of Navy and naval shipyards. 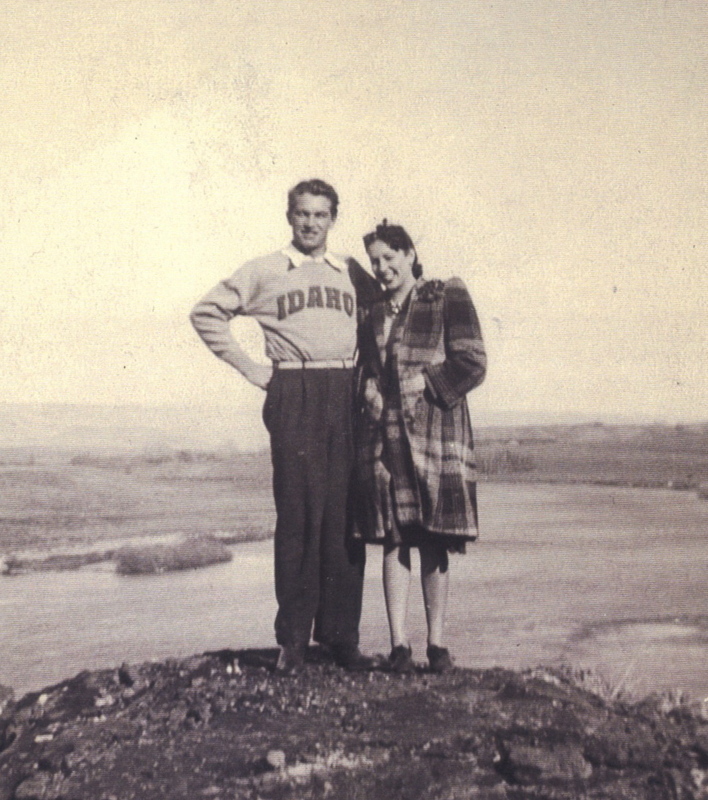 A young happy married couple, back home in Idaho, before the war. 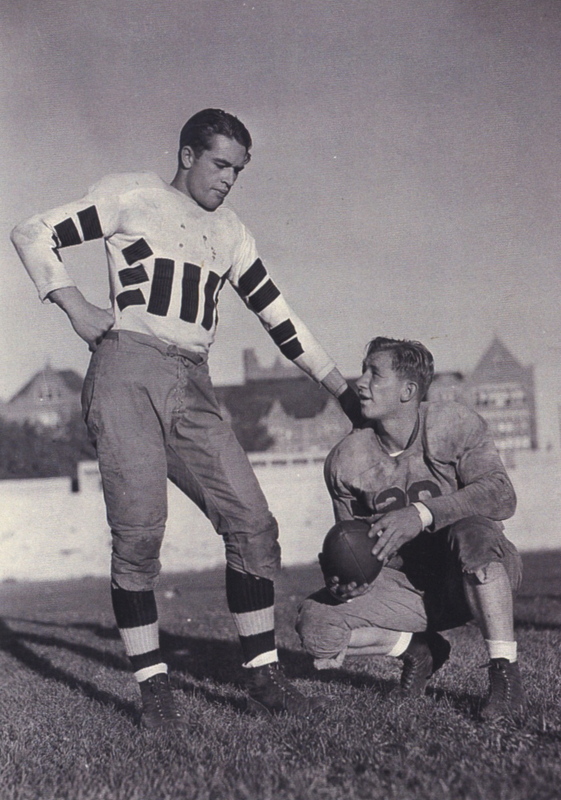 My grandfather Jack (left), gave up his football career at the University of Idaho to enlist in the military (photo taken in 1939). 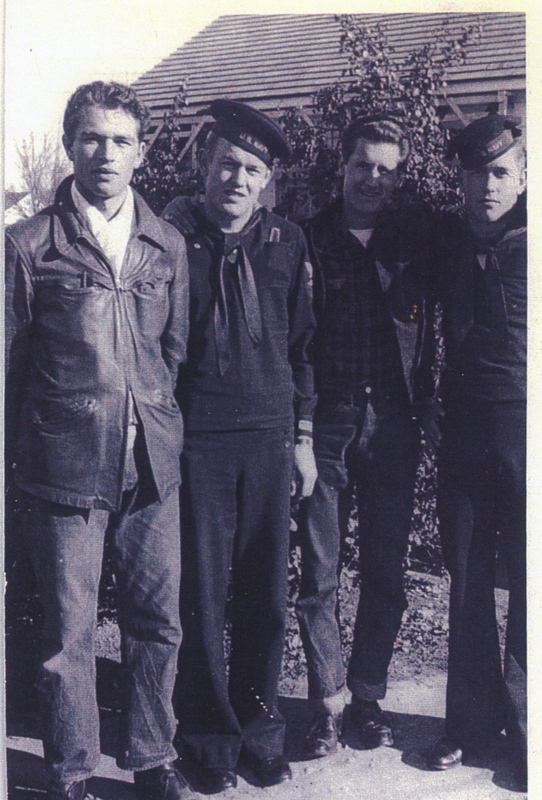 My grandfather (far left) along with his three brothers, all enlisted during WWII. Some of the women, left behind while their husbands, boyfriends, and brothers were at war, went to work in the defense plants and shipyards all over the United States. The “Rosier the Riveter” recruitment poster “We Can Do It” is a cultural icon for those women working to keep the war effort going. Loyal, efficient, patriotic, and pretty, my grandmother fit the ideal image of “Rosie.” She was one of an estimated 18 million women who worked in WWII defense plants and other war related support services during the war. My grandmother, a beautiful woman and daughter of a German immigrant father, worked as a riveter at Douglas Aircraft in Long Beach, producing military aircraft. I remember my mom telling me the story about how the same photographer that discovered Marilyn Monroe gave my grandmother his business card one day and encouraged her to sign with the same modeling agency as Marilyn Monroe. My grandmother, a farm girl from Idaho with a young daughter (my mother), declined. 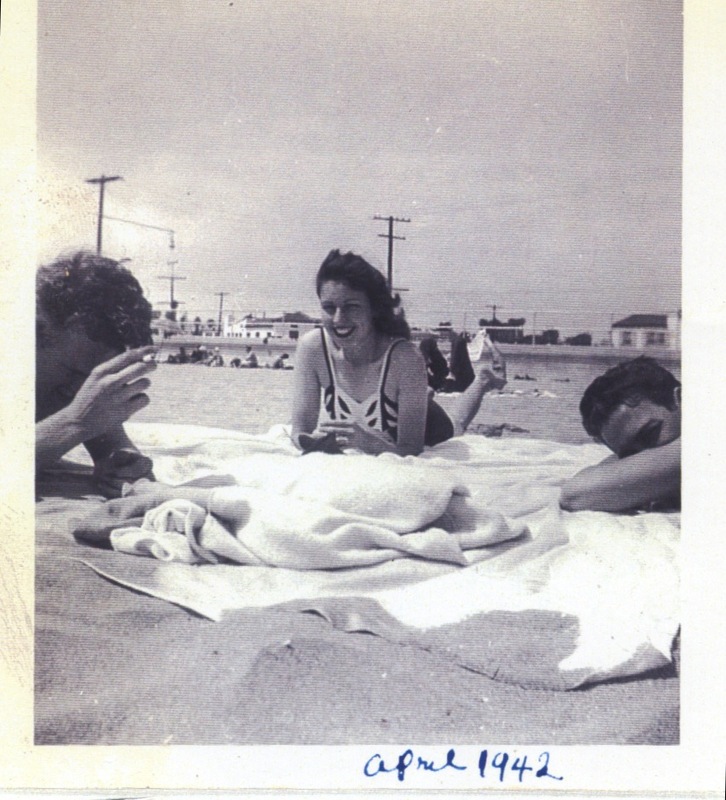 My grandmother on the beach in Southern California. Happy times. Military men home to visit their families. After the war ended in 1945, my grandparents and mother left Long Beach and moved back to Idaho were my grandparents settled in Caldwell. My grandmother raised three more children and had a long career in healthcare. Women like “Rosie the Riveter” were inspiration to their daughters and granddaughters to also become dedicated and hardworking members of society. Leona, on the right, back home in Idaho. 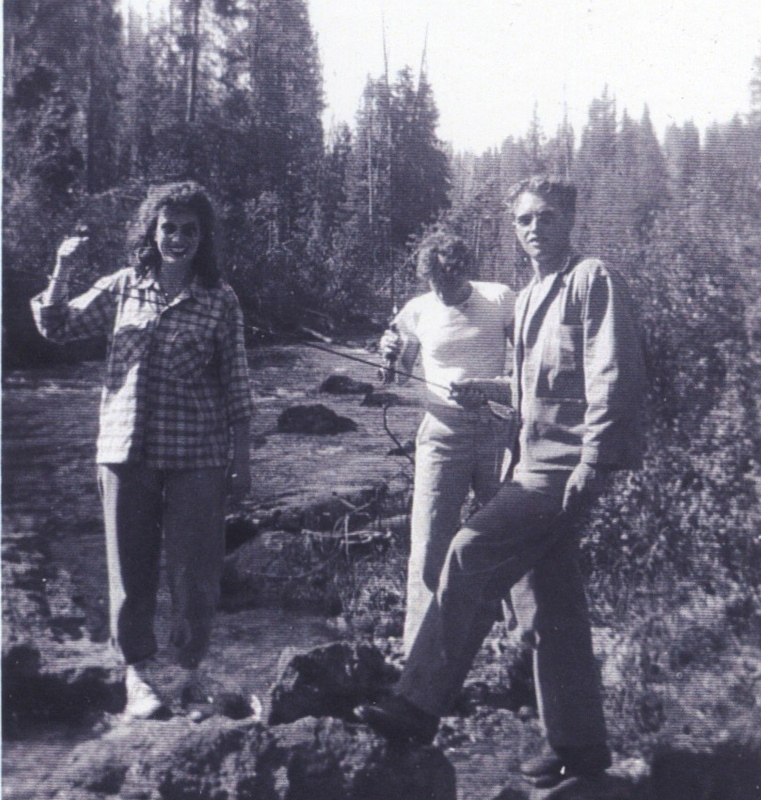 My grandparents, enjoying fishing in Idaho, after WWII.